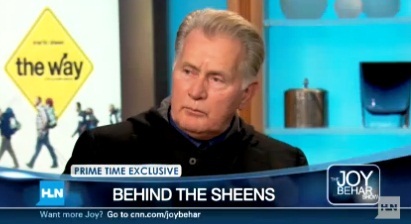 *During a visit to HLN’s “Joy Behar Show” along with son Emilio Estevez, activist-actor Martin Sheen defended President Barack Obama against the handful of Hollywood liberals who have claimed the leader has not done enough since taking office. “But had they, you know, focused on the real problem?” Sheen asks about his celebrity-activist colleagues. Sheen and Estevez were promoting their film, “The Way,” which stars both father and son, and was written and directed by Estevez.